The broadest range of quality hand tools, benches, power tool jigs and fixtures, machinery, traditional brass furniture hardware and finishing supplies for the woodworking shop. Fine Woodworking Magazine is celebrating more than 40 years of furthering the art and craft of woodworking and of fostering a community of dedicated woodworkers. Every issue shares inspiration and time-tested learning on topics such as furniture fundamentals, joinery, finishing, workshop layout, and more. Information about Roy Underhill, his books, and his television series. With classic hand tools, American timber and know-how from around the world, Roy and his guests make everything from chairs to chests—and even the tools with which to make them. Located in Franklin, Indiana, the Marc Adams School of Woodworking is committed To excellence through hands-on learning experiences with the best instructors in the world. The Center for Furniture Craftsmanship is located in the coastal village of Rockport, Maine, between Camden and Rockland. Their mission is to provide the best possible education for people who want to design and build functional, beautiful, and expressive work out of wood to the highest standard of craftsmanship. At the heart of the Center’s mission is the belief that design and craftsmanship are deeply meaningful expressions of the human spirit. They contribute to individual fulfillment and inform the larger culture. Promoting knowledge and appreciation of the craft of period furniture. Based on the idea of “learning by doing”, CVSW provide a wide range of hands-on woodworking classes for men and women of all skill levels. Owned and operated by Phillip Lowe, the Furniture Making Program at FIM is dedicated to excellence in the art of classical woodworking techniques. Functional contemporary furniture design and construction are also explored in a creative environment based on each student's vision and individual portfolio development. The intent is to prepare participants for a career in furniture making and related fields. A life of proven skills, artful solutions, and superior craftsmanship—built by hand. Full-time programs and Continuing Education classes in furniture making and fine woodworking. Master faculty and an inspiring community located in Boston's historic North End. Financial aid and veterans' benefits available. Gary Rogowski is the Director of The Northwest Woodworking Studio in Portland, OR. His focus is on no nonsense solutions to common woodworking problems through week long classes, one month intensives and his two year Distance Mastery Study and one year Resident Mastery Study Programs. Christian Becksvoort has five decades of experience working in a variety of custom, architectural and furniture shops. Much of his furniture is inspired by the Shaker tradition, with clean, unadorned lines and fine craftsmanship. His pieces are intended to harmonize with your environment, as well as with our environment. Urban Woodworker was started in 2012 by Jeremy Tomlinson in collaboration with Roundhouse Community Art and Recreation Centre in Vancouver. In 2018 Urban Woodworker opened the Community Woodworking Studio in Lower Lonsdale North Vancouver. Urban Woodworker offers a variety of Woodworking courses from the basics to advanced joinery, spoon carving and turning. Course durations vary from as few as 2 three hours sessions to 12 sessions and week-long full time intensives. At Kelly Mehler’s School of Woodworking, classes are designed to give you the focused attention and encouragement needed to build your skills, comfort level, and repertoire of woodworking techniques. 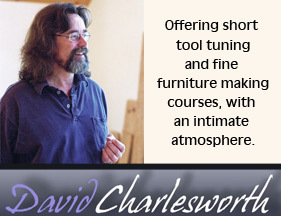 A full service teaching studio for those interested in woodworking. PFW‘s goal is to provide a broad range of hands-on classes for woodworkers of all levels, including beginners. 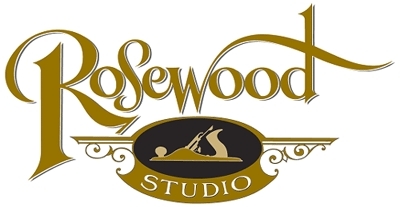 Rosewood Studio School of Fine Woodworking offers programs from one week to 9 months in length, taught by some of the leading professional furniture designers and makers from across North America. Clark Kellogg is an award winning fine furniture maker based in Houston, Texas. Woodworking is his passion and he aims to create bowls, chairs, boxes, and signs that are both functionally sound and aesthetically pleasing. David J. Marks is recognized internationally as a master craftsman of fine furniture, turner, sculptor, and host of the television show “WoodWorks”. Makers of high quality copies of 18th century American furniture hardware. Exquisite custom guitars made mostly with hand planes, chisels, and other old-world tools and techniques. Makers of Handcrafted, Heirloom Quality, Custom Drums. We are a custom drum company located in Memphis, TN offering truly hand-made, custom drums with superior sound and quality, catering to the professional drummer. Ideal instruments for recording and live performance. Scythe Supply specializes in the European style scythe. Simple, efficient and fun to use the European scythe is an elegant human powered mowing machine. Their web site is a comprehensive mix of unique tool offerings, information and instruction. They are scythe enthusiasts and would like others to discover the rewards of using this healthy mowing alternative. The Woodworker's Guild of Rhode Island, based in Scituate, Rhode Island, is a club of amateur woodworkers who share their knowledge & experiences of the craft with other woodworkers in the guild. Join the DIY community and take advantage of the free plans and resources offered at Woodworking.com. Powered by Rockler. Timberwolf Tools offers quality timber framing tools and a large inventory of accessories, parts and supplies. A woodworking community forum for both hand tool and power tool users. 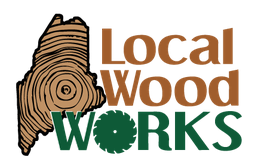 Find out about local sourcing of wood in Maine. Rare Woods in Mexico, Maine, stocks large volumes of rare and exotic timbers. They carry 180 species of stunning wood from around the world (from Ash to Zebrawood). For projects small or big - buy 1 plank or 1 thousand. Hardwoods Inc. is family owned and operated, with over 30 years of woodworking experience. Their inventory of over 100-thousand board feet includes 150-plus exotic and domestic lumber species imported from all over the world. A workbench design resource for woodworkers. A place for avid woodworkers to share good information with each other. Fine Furniture made by hand in Spain, using only hand tools. Fine Furniture hand made in Spain by Lorenzo García. Spanish quality woodworking forum and event. Furniture making, woodturning, woodcarving, handtools, and more.